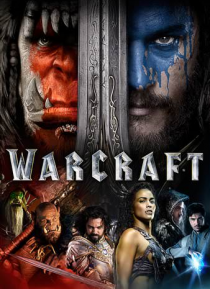 The peaceful realm of Azeroth stands on the brink of war as its civilization faces a fearsome race of invaders: Orc warriors fleeing their dying home to colonize another. As a portal opens to connect the two worlds, one army faces destruction and the other faces extinction. From opposing sides, an unlikely set of heroes are set on a collision course that will decide the fate of their families, the… ir people and their home. So begins a spectacular saga of power and sacrifice in which war has many faces, and everyone fights for something.